Staff - Emerald Steel, Inc.
Emerald Steel Inc. was established by Brian Earley in 2006. Based on Brian’s prior experience and knowledge, he wanted his company to operate more nimbly than the competition by delivering service when and where it was needed. Brian has focused his efforts on surrounding himself with quality employees and excellent production control, which has resulted in a growing list of repeat customers. 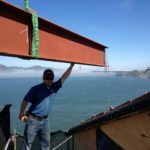 Within a few short years, he has built Emerald Steel into a thriving business known by industry professionals across the Bay Area for its superior workmanship. Brian is an avid horseracing fan who also enjoys fishing on weekends. 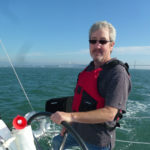 While he has lived in both San Francisco and Oakland, he recently moved to Hayward to enjoy a less hectic pace of life. Patty began her career with Emerald Steel Inc. at its inception in 2006. Prior, she worked with Brian at Coyle Iron. An integral part of the company, Patty oversees all aspects of accounting, contract administration, human resources, and insurance. She also has a hand in company leadership and operations, including marketing, recruiting, and technology. Patty has earned the designation of CIT – Construction Industry Technician. 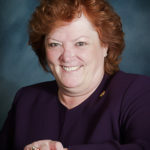 Patty is very active in the National Association of Women in Construction (NAWIC). She has two daughters and two grandchildren, and lives in San Leandro. John Coyle, an expert in steel fabrication and erection has been working in the structural steel industry since 1998. His extensive experience working in field installation for a wide variety of projects from low-rise commercial buildings, to earthquake retrofitting, to high-end residential has given him the knowledge and skill set to effectively plan and manage each project. John works diligently to ensure that every job is completed on time according to the highest quality standards. Outside of work, John pursues numerous hobbies, including coaching soccer, hiking, and backpacking. He lives in Oakland with his wife and three children. In 2012 Izzy joined Emerald Steel and found it a great fit for his diverse skill set. Having been the industry since 1996, he had developed a deep knowledge of the business from his work in a range of positions. Emerald Steel gave him the opportunity to put his skills to good use by requiring him to wear many different hats. From start to finish, Izzy ensures projects make it successfully to completion. While he was born in Oakland and raised in San Lorenzo, today Izzy lives in Pleasanton with his wife and two dogs. He loves golf, fishing, and travel. 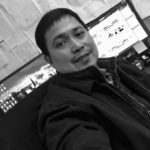 A passion for architecture and building things made Alvin a great fit when he joined Emerald Steel in 2014. Alvin’s career in the industry started when he moved stateside from the Philippines after earning his B.S. in architecture. He has now been in the industry 16+ years. 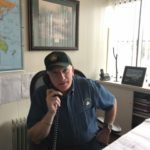 At Emerald Steel he wears many hats and spends about 70% of his time estimating, 20% designing and detailing, and 10% project managing. Back in the Philippines, Alvin learned sharpshooting; it has been his biggest hobby ever since. He has three grown children, and lives with his wife in Daly City. Jack started in the industry in 1980. By 2000 he was focusing on steel detailing. Later, in 2010, he took up estimating, eventually becoming Emerald Steel’s senior estimator. Jack has been with the company since its inception. In his spare time, Jack enjoys shooting guns at the range, fishing, and watching his favorite Bay Area sports teams. He has been married for 35 years and has two children. 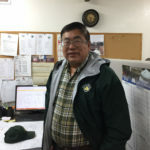 Jeff began working with Emerald Steel in 2015. However, his work in the industry spans 40 years. Of those years, 29 were spent as a shop fabricator/installer, and the past 11 as an estimator and project manager. Initially drawn to a career in the steel industry by an early interest in discovering how buildings were constructed, this was later solidified by his experiences as a welder. 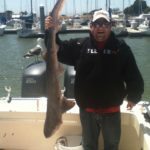 In his spare time Jeff enjoys sailing the San Francisco Bay, photography, exploring local museums and galleries, as well as hiking, camping, and fishing, with his three grown sons.